My fortune for the year of the snake. Chinese wisdom states that if you have someone in your house who was born in the year of the snake you will not starve. We began it with a delicious Chinese banquet. And if my fortune cookie is anything to go by, it will be a good year. Happy new chinese's year ! A wonderful way to start the year. I like the part about overcoming hardships, but I'm not crazy about the idea of having many hardships needing to be overcome. 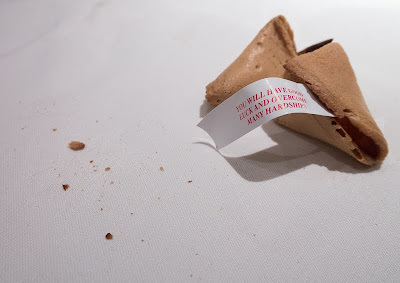 I'm a sucker for peeking at fortune cookie fortunes:) The food looks delicious too, can I ask where you enjoyed your meal? 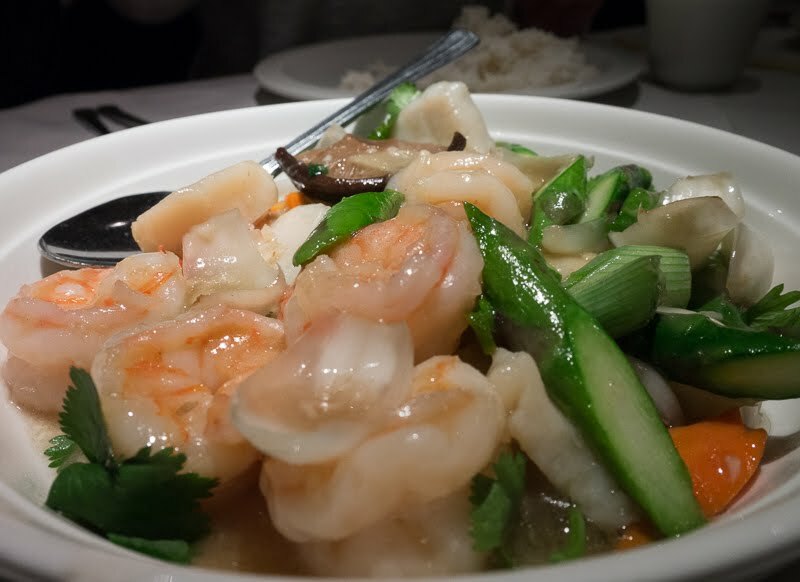 I'll take the good luck fortune, and the dinner looks like a perfect New Year's feast. What, no chopsticks?